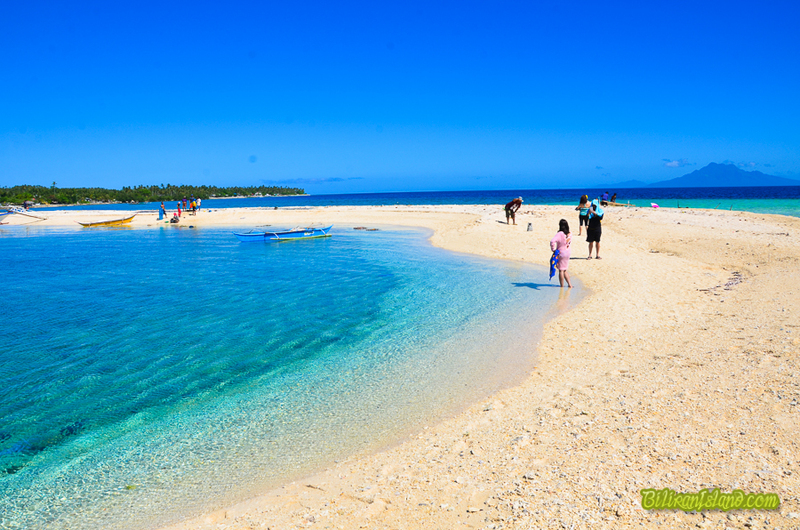 This early, some residents of Higatangan Island have already in mind the influx of local and foreign tourists. This shall follow with the full operation of the Higatangan Micro-Grid project that is expected to serve the power needs of the island, known for its shifting powdery sand bar. “Tourists arrivals will definitely increase,” said Burthon B. Montes, a tourism student of Naval State University and a resident of barangay Mabini, one of the two barangays of Higatangan Island in Naval town. Two years back, Naval Mayor Gerard Espina launched his brainchild, the Higatangan Summer Festival, and since then, the island has continuously drew visitors from far and near. For Leah Pepito, also a resident of barangay Mabini, the OFWs residing in the island have already plans to put up businesses like restaurants, more accommodation facilities, snack bars, karaoke bars, and more that will cater to the needs of both local and foreign tourists. 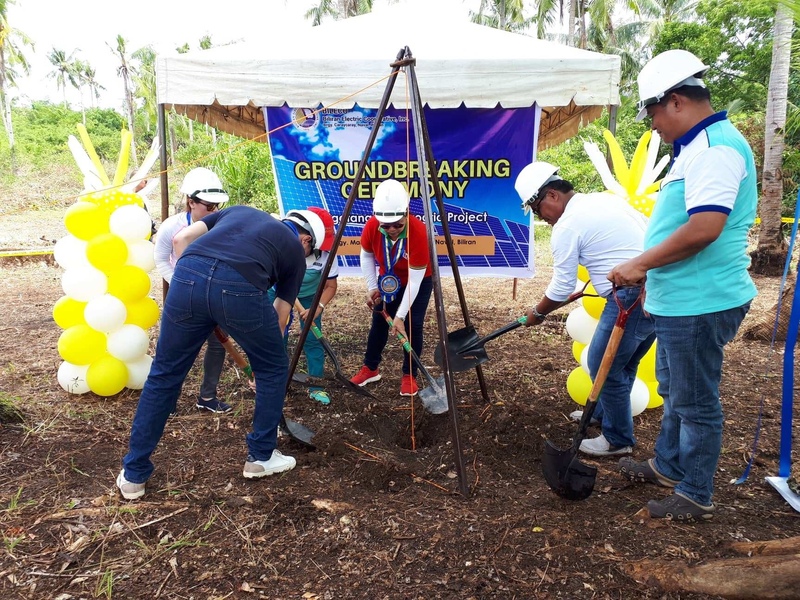 “The estimated start of the actual operation of the Higatangan Micro-Grid Project is on October 2018,” Maureen D. Nierra, BILECO internal auditor said in her project overview during the recent ribbon cutting and groundbreaking ceremonies in Barangay Mabini where the project will be established. Groundbreaking of the Higatangan Micro-Grid Project. Nierra narrated some top officials of the National Electrification Administration (NEA), Asian Development Bank (ADB), and the ELT Co., Ltd., a Korean company, visited the island for the possible establishment of the second micro-grid project in the Philippines. The first micro-grid project was established in 2016 in Cobrador Island in Romblon. After the receipt of the donation proposal on October 27, 2017 from the ELT Co. Ltd and from the Korean Government, BILECO was able to comply all the necessary documents for the project including the purchase of lot in the amount of P1.5 million as part and parcel of BILECO’s counterpart for the project, the young lady internal auditor of BILECO reported. The donated equipment will be shipped from Busan, Korea on the first week of September and is expected to arrive at Higatangan Island within the month Nierra added. “ELT Korea and its partners will arrive in Biliran province this month of September and will be staying in Higatangan Islandfor for 10 days for the commissioning of the donated equipment and training of BILECO personnel who will take charge of the micro-grid project,” Nierra said. The donated micro-grid project has a total cost of P15,217,000.00 consisting of the following equipment: 10-KW power solar panel photovoltaic, 50-KW power control system, 50-KV diesel generator, and 20-KWH plus 16-KWH extra energy storage system. BILECO General Manager Gerardo N. Oledan expressed elation, while delivering his welcome message, because the only electric cooperative in Biliran province will embark another milestone of providing 24-hour power service, this time in partnership with a Korean firm and the Korean Government, to an island with promising tourism potential. “The more than 300 households of the island provided by BILECO’s power services, will now enjoy the 24 hours service,” Oledan assured adding this will make more fun to the island residents. It was learned that the island has only five hours of electricity service daily from 5 o’clock in the afternoon to 10 o’clock in the evening. For his part, Naval Mayor Gerard Roger M. Espina said the 24-hour electricity will surely complement in making the tourism activities in the island attuned to the tourism slogan, ”It’s More Fun in the Philippines” wherein more fun will now eventually take place in Higatangan. Aside from the famous shifting sand bar, Higatangan has now the Capella Del Mar, the first man-made underwater chapel; the soon to be experienced cliff diving, and the plan of making Higatangan an excursion site with more added fun-filled and relaxing activities good for vacationing families, according to Mayor Espina.